Accepted offer. 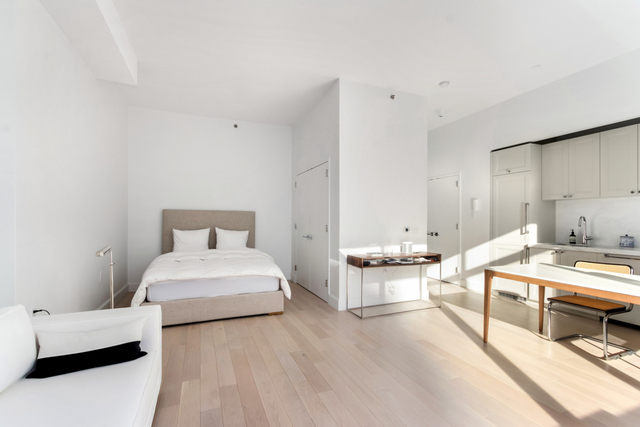 389 East 89th Street is a new condominium on Upper East Side designed by Paris Forino with elegantly appointed finishes. 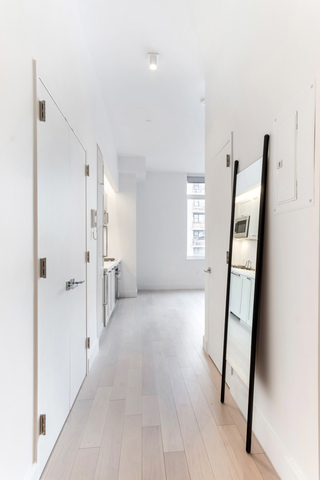 This huge alcove studio (622 sq ft) has eastern light with high ceiling (10.5') and wide plank white oak flooring. 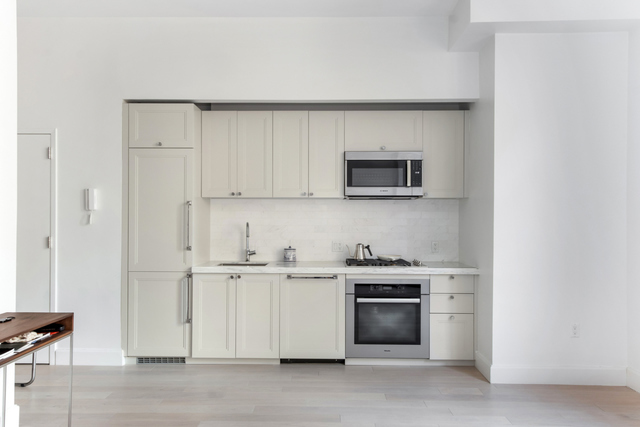 The kitchen is equipped with Italian cabinetry, marble counter-top, and Miele appliances. 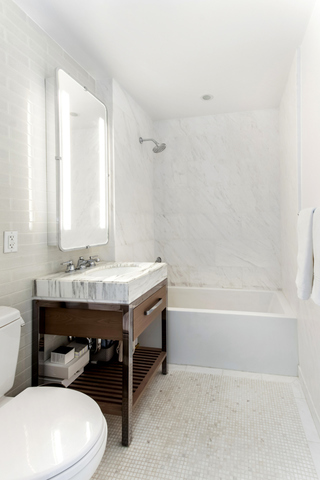 The marble bathroom has a Italian vanity with a self-lit mirror and Waterworks fixtures. Washer and dryer in the unit. 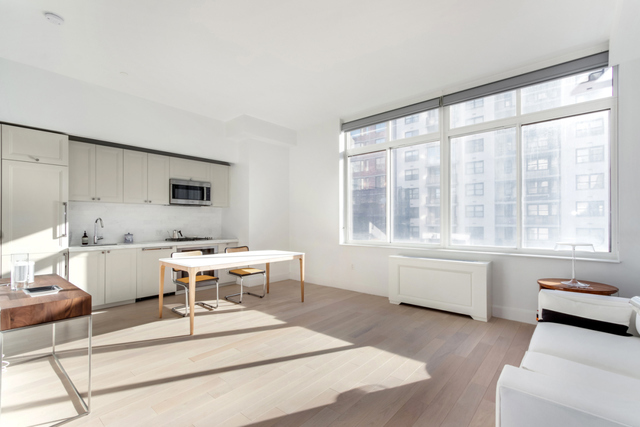 This luxury condo has a 24-hour attended lobby, playroom, outdoor terrace with a grill, resident's lounge, fitness center, and a roof deck with stunning Manhattan views. 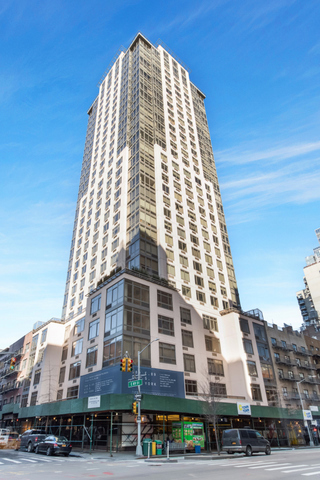 Short walk to the Q, 4, 5, and 6 trains, buses and Whole Foods, Fairway and many great restaurants on Second Avenue. Sorry no pet. Need 24 hr notice to show.